A perfect match. In this set the lighting becomes a beautiful decoration itself. How come? The subtle shining at the bottom of a planter accentuates its shape and turns the surroundings into a magical place. 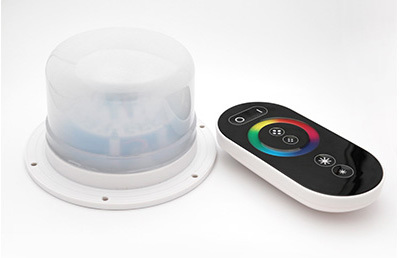 The light module is closed in a hermetic and waterproof holder rated at IP55. 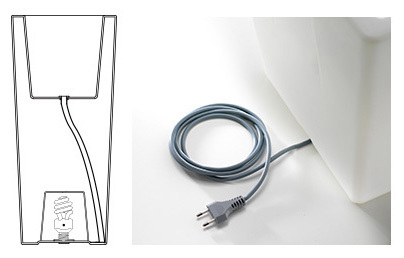 Every planter has its own power supply (110 – 220 V) and a cord (5 metres). Safety first. 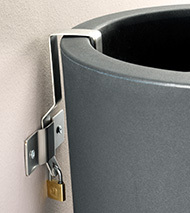 Thanks to steel and durable fixing systems the Extravase planters are immovable. The installation is simple and fast. The flower pots are equipped with all the elements necessary to fix. 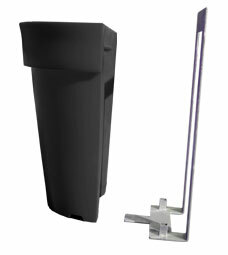 A steel and strong wall fixing system makes a planter immovable and protected from thieves. The system is easy to install and it’s in the set with a planter. The mobile system is hidden in the bottom of a planter. Thanks to it the container is easy to move even if it’s planted with flowers. 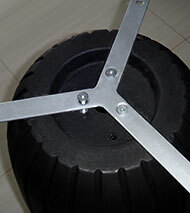 The wheels are made from extremely durable materials so they’re safe in use. Now the arrangement change is an easy task! A simple and effective way to transport water directly to the root system. The double-bottom system is a functional and properly designed water container equipped with overflow holes and an aeration module. The application of this system has a beneficial impact on the growth of plants and facilitates the cleaning. 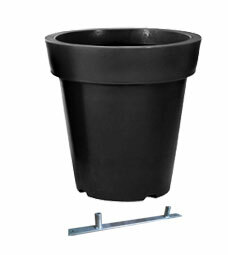 The polystyrene insert designed for planters made from fibreglass. An additional protection from frost. The insert is invisible outside. The legs make a planter stable on irregular surfaces. It’s a quick and effective way to improve its balance if it’s necessary. All the elements are galvanized. A cultivation and watering system providing the proper amount of water to roots. It also reduces the frequency of watering. 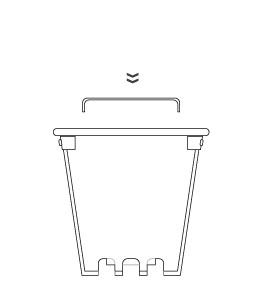 The insert facilitates taking care of plants. 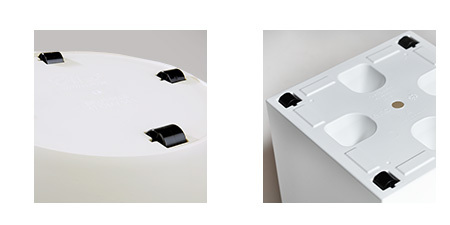 A durable insert dedicated to particulars models. It guarantees fast and easy transplanting. 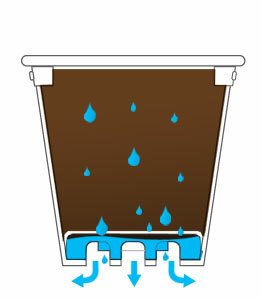 The system of overflow holes protect roots from rotting. An element dedicated to the planters Prive. An aesthetic and durable decoration which helps in open space dividing. It’s a stable support for growing plants.